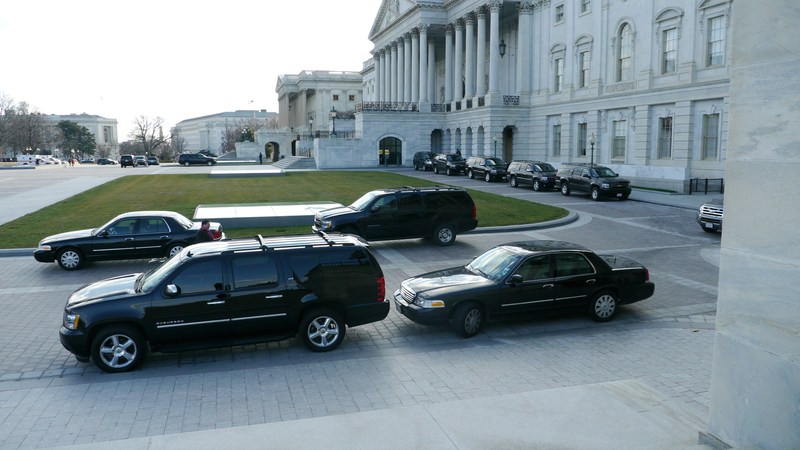 Parked out behind the Capitol yesterday was a fleet of limos. A rare sight indeed… Congress is actually at work (so to speak), playing the waiting game for the pseudo-apocalyptic fiscal cliff to ring in the new year. Given that the government (and the nation) have been existing in an ethereal post-apocalyptic state of numbness since the Bush years, it’s not clear that anyone is really feeling the urgency. Despite the rows of shiny black limos neatly parked on the east side of the Capitol, very little is actually happening inside those hallowed halls of Congress. While fingers are pointing, insults are flying, and the blame game goes on, another meaningless deadline looms menacingly. Will a deal be struck? Only time will tell. But those black limos are like the horsemen of the apocalypse, or perhaps a funeral procession waiting to begin. Happy New Year’s Eve everyone, as we wait for the bells to toll.